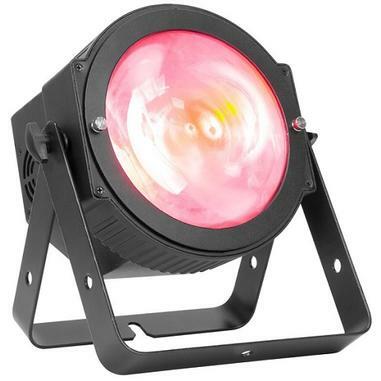 Designed for mobile or permanent wash lighting of stages, clubs, dance floors and churches! 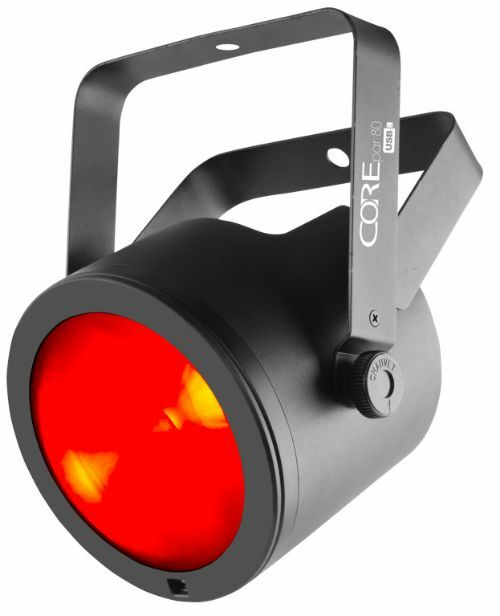 COREpar™ 40 USB produces a full spectrum of light with the unsurpassed color mixing of COB (Chip-on-Board) technology and includes a separate magnetic lens to provide the flexibility to go from an ultra-wide wash to a narrow beam in seconds. 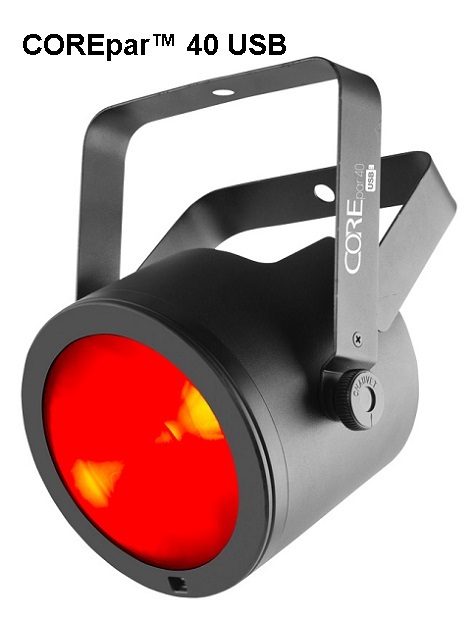 High frequency LED dimming achieves smooth LED fades and ensures a flicker-free performance in video applications. Multiple control options include DMX, master/slave and sound activation modes as well as wireless control thanks to D-Fi™ USB compatibility. Point-and-shoot operation of static colors and automated programs is also possible with the optional IRC-6 remote control (sold separately). 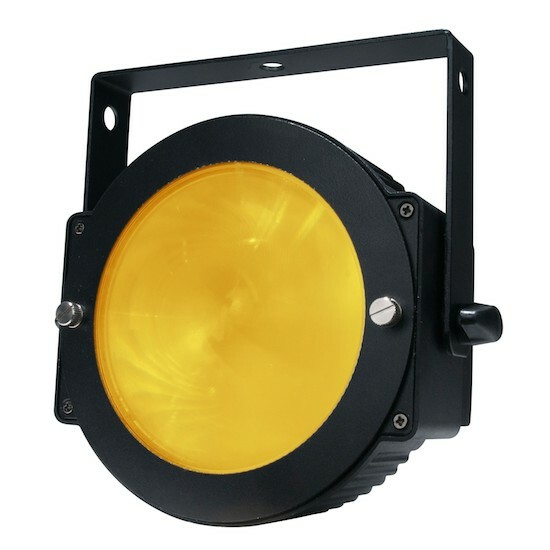 The unit’s robust sit-flat housing features power and DMX outlets on the side.